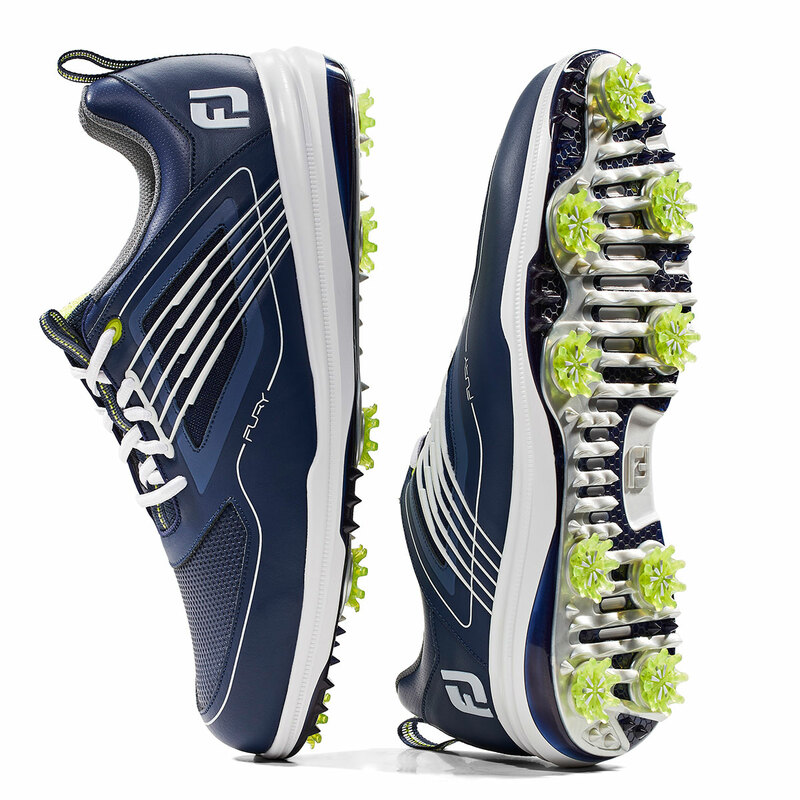 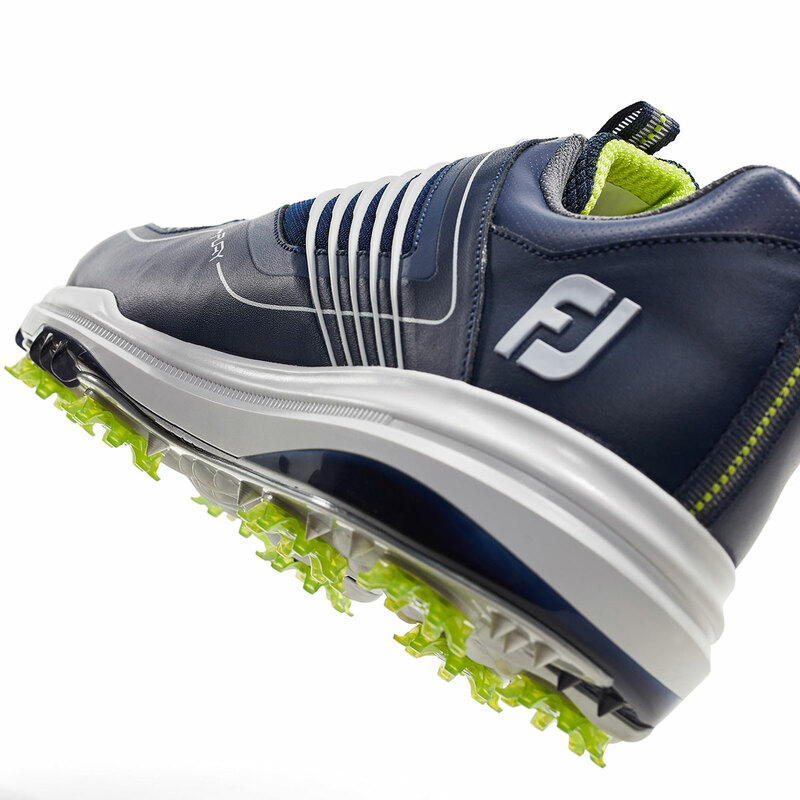 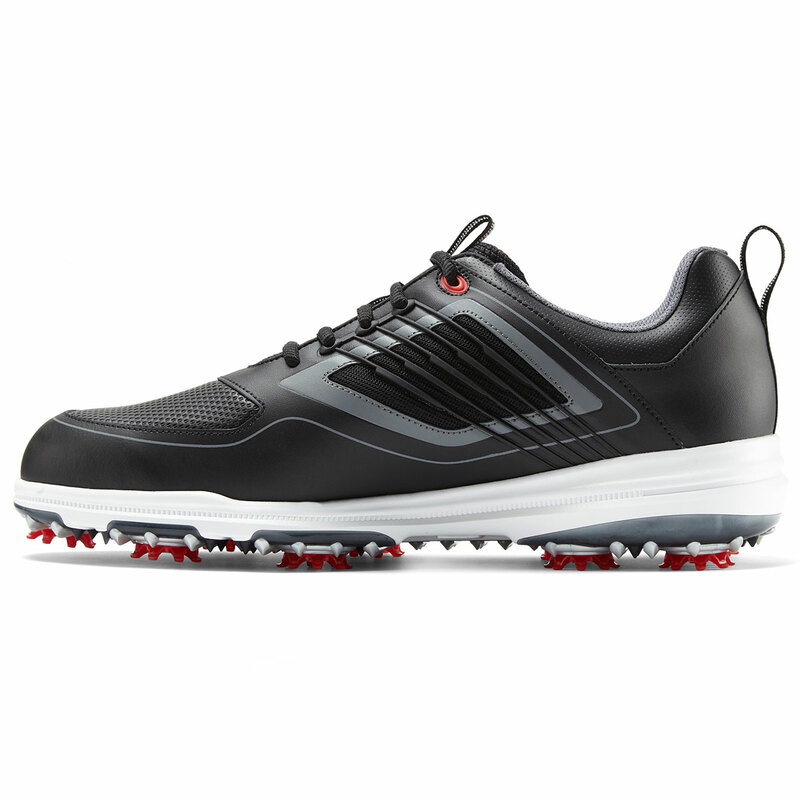 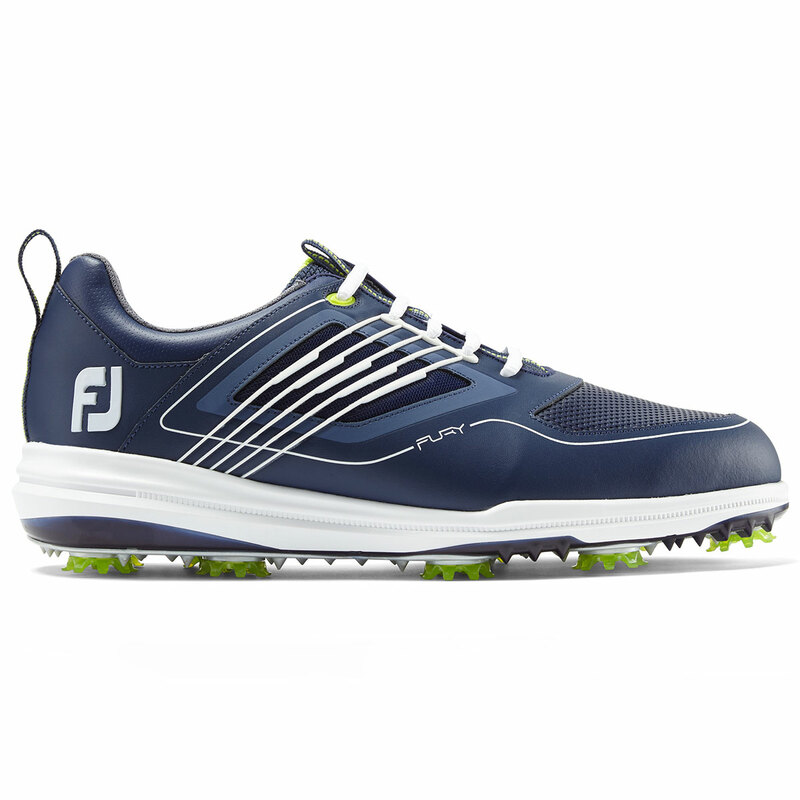 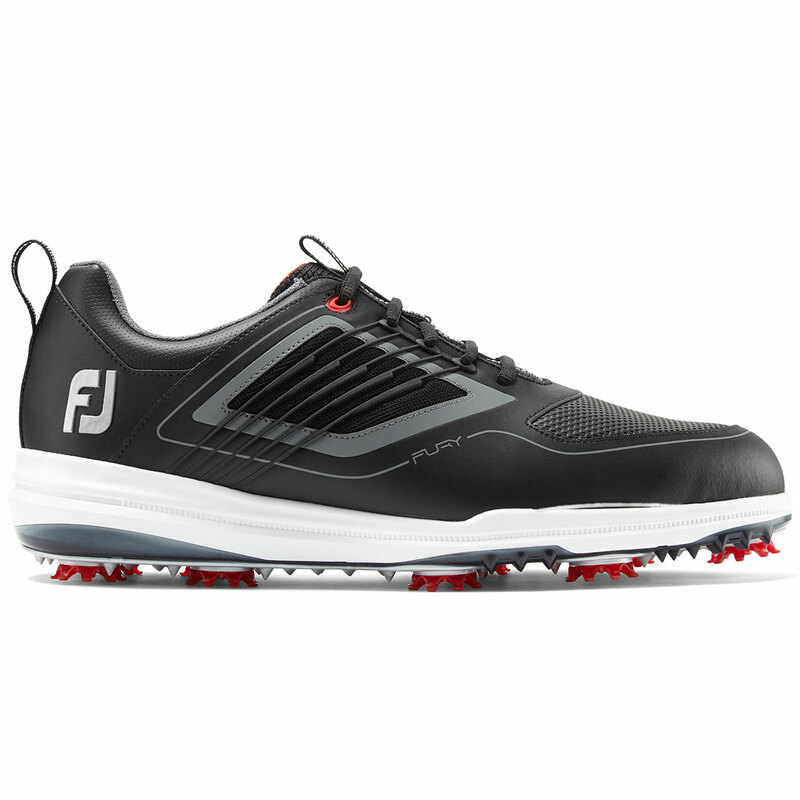 More golfing professionals use FootJoy, and you can see why with the all-new Fury golf shoes, which envelope the foot for the surround sound of fit of performance. 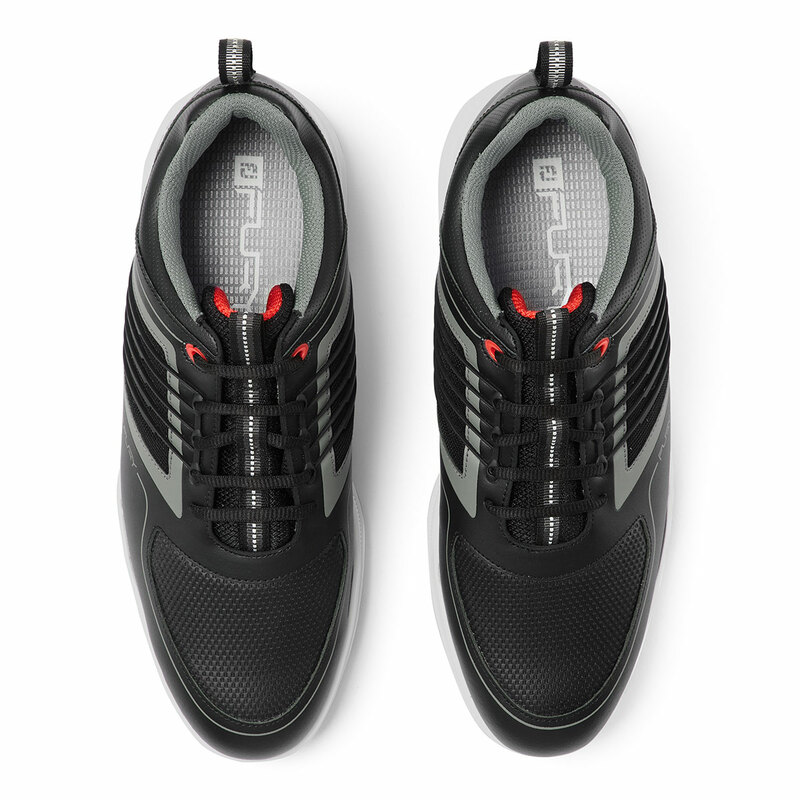 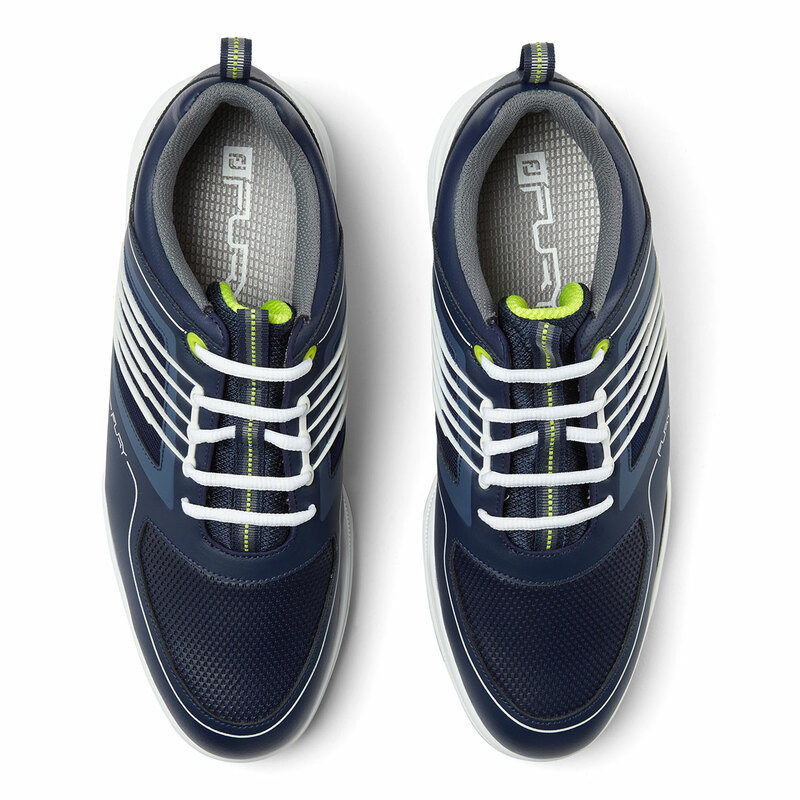 The shoes have been designed from the inside to the out, with comfort innovations that lock your foot into position for more control and stability. 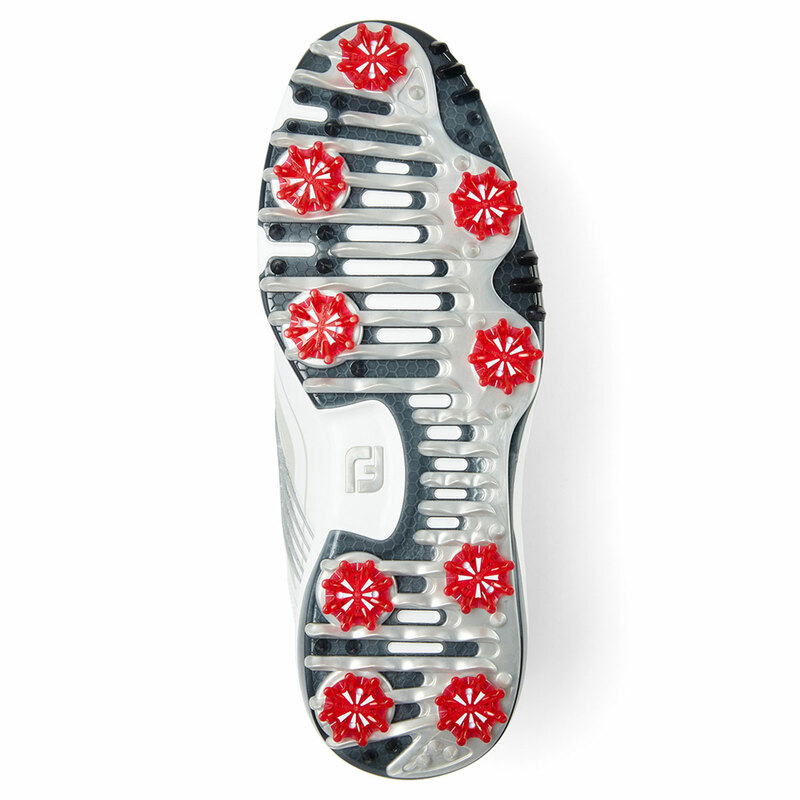 The shoe features an inner Fit Sleeve, a soft and stretchy bootie which wraps around the foot for a lockdown feel, with an Ortholite® Impressions Fitbed®, comprised of 2 layers of density foam for mechanical support and rebound cushioning. 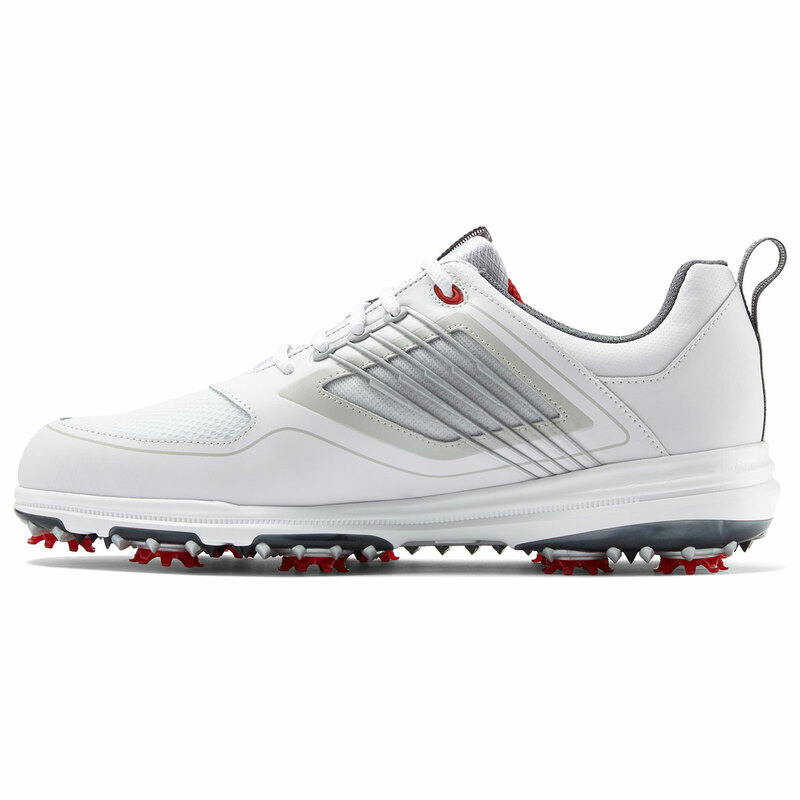 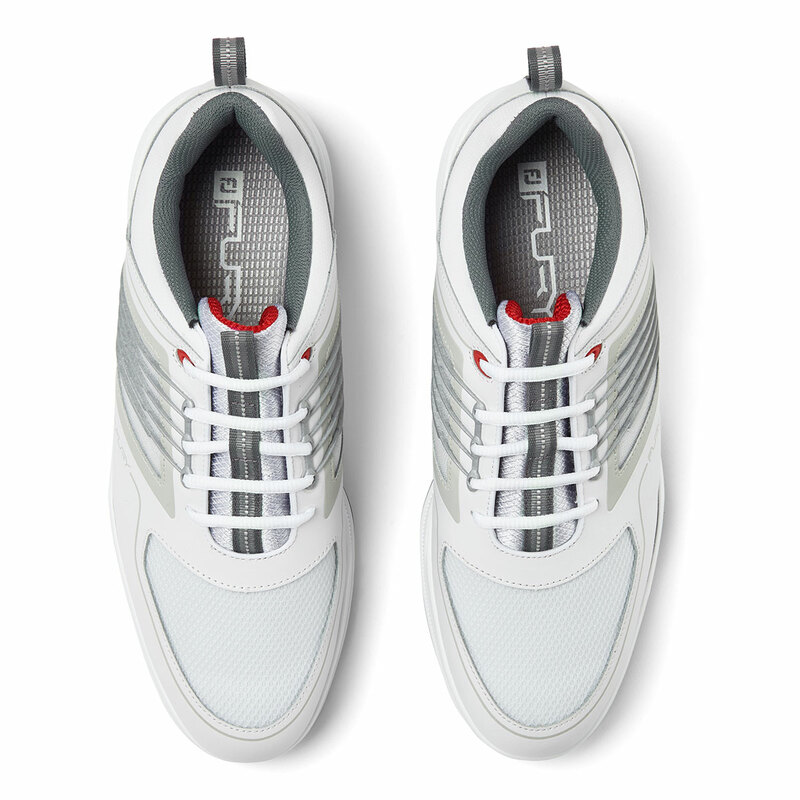 For added performance, the shoe features a medial-lateral control cage (Flexgrid MLC), this external cage system locks you in as you tighten your laces to provide full support during the golf swing. 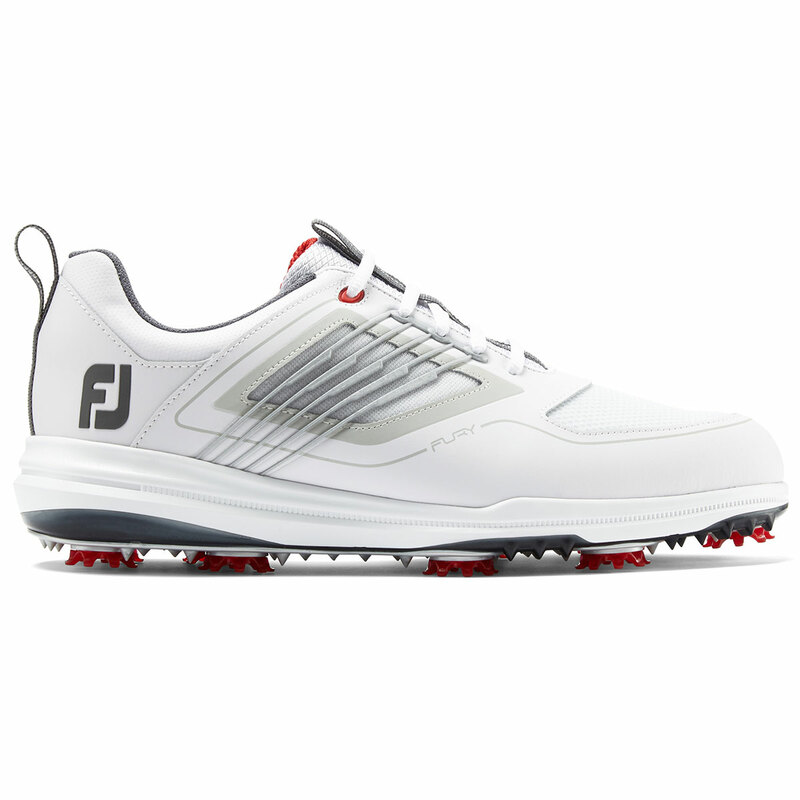 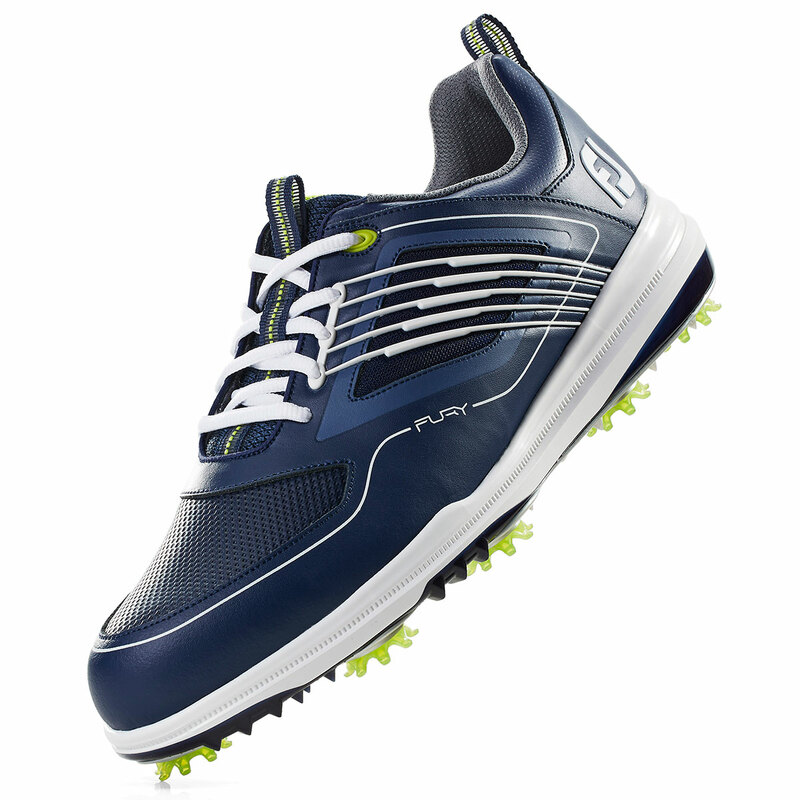 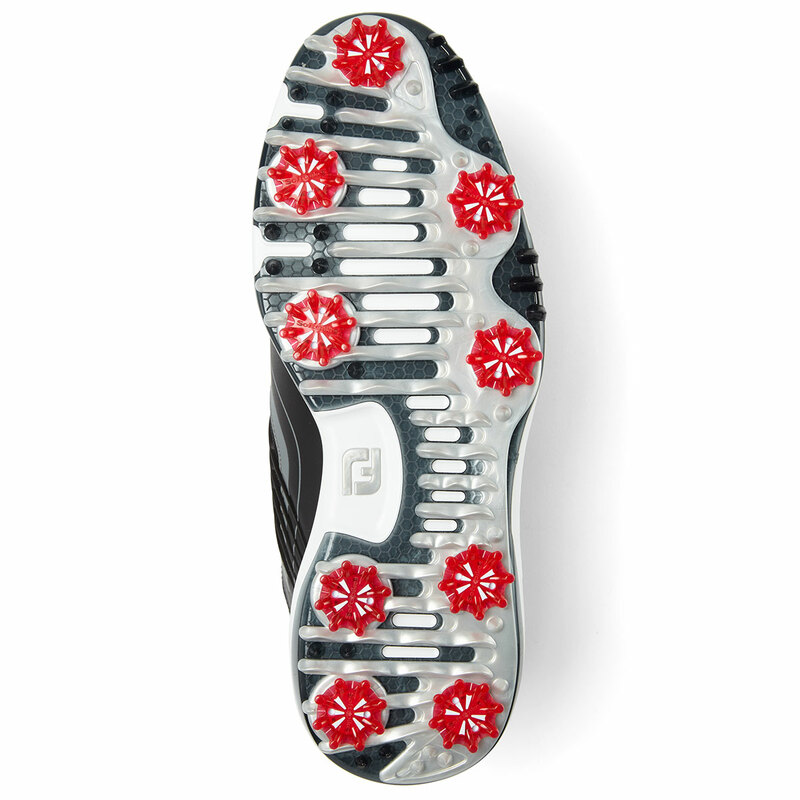 To build a swing you need stability and control, the Fury features a Dynamic Dual Density D3 outsole which provides stability and flexibility, with a firmer thermoplastic layer to provide lateral stability through the golf swing, and a softer thermoplastic Liquid Metal layer to provide walking flexibility and crouching to read putts. 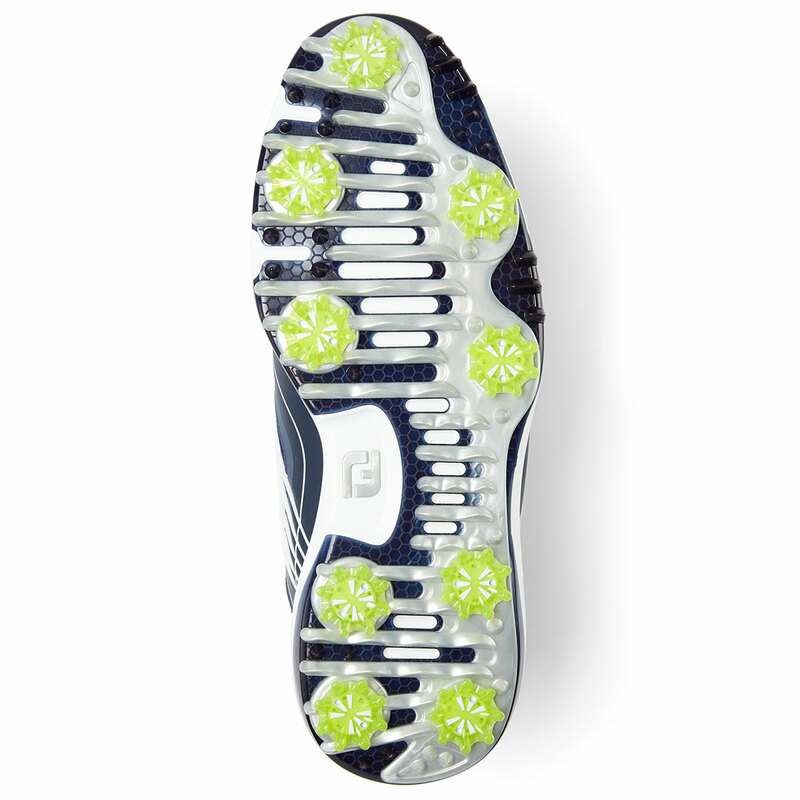 Powered by one of the most green-friendly cleats on the market, a low profile Pulsar cleat.